Gum disease is one of the most prevalent and most preventable diseases today, and is estimated to affect over half of the American adult population. You heard correct, over half! According to the CDC, one out of every two American adults aged 30 and over has periodontal disease. And the worst part is, often times it goes undiagnosed, and untreated. Gum disease is an infectious disease of the mouth, caused by the growth of bacteria on the teeth and gums in the absence of proper oral hygiene – regular brushing, flossing, and dental checkups. Gums may become swollen, red, irritated, and bleed. Over time, residual plaque hardens into tartar, which can irritate gums to the point where they begin to pull away from the teeth, or recede, and can eventually lead to tooth loss, and other systemic issues like diabetes and heart disease. The fact of the matter is, gums should never bleed. If they do, this is a warning sign of gingivitis, which is the first stage of gum disease. If your gums bleed when brushing or flossing, you should contact your Destin dentist, or Panama City Beach dentist as soon as possible. If you or a loved one has noticed any of the signs and symptoms of gum disease mentioned above, please don’t wait to seek treatment. Gum disease is easily preventable, and treatable, so please give us a call at The Center for Cosmetic & Family Dentistry today to schedule an appointment. 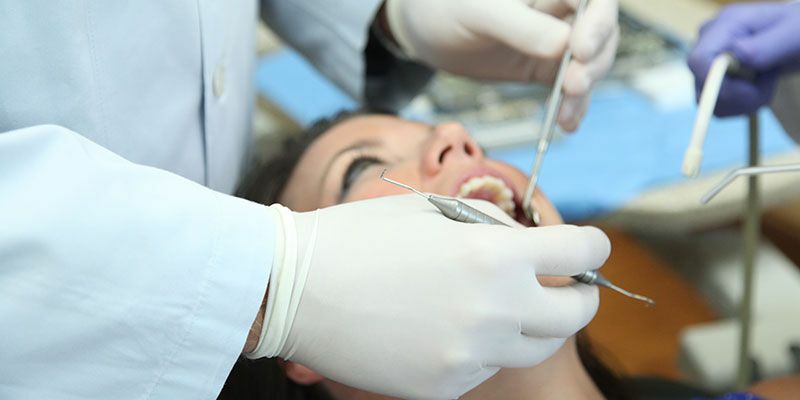 Call your Destin dentist at 850-810-0300 or your Panama City Beach dentist at 850-810-0600.